Fans of anthropomorphic saplings capable of uttering only a few words can breathe a sigh of relief today, because the voice making those utterances is going to be familiar. 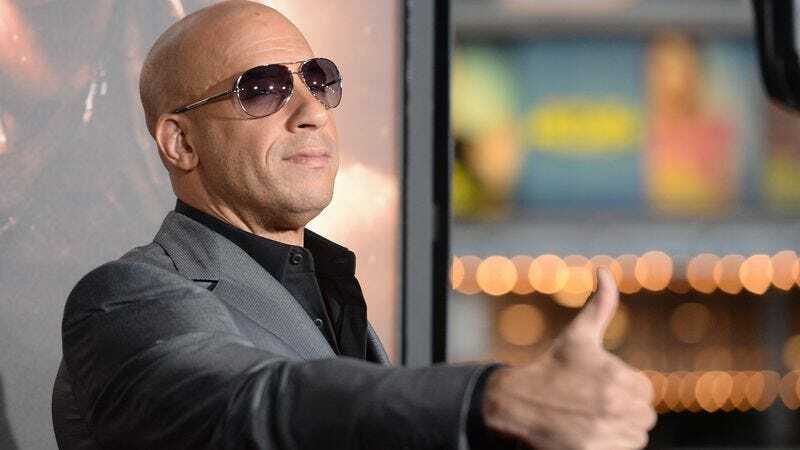 /Film reports director James Gunn recently confirmed that Vin Diesel, much to no one’s surprise, will return to voice Groot in Guardians Of The Galaxy 2. This means kids the world over won’t have to deal with the trauma that would come from having some other guy say those things into a microphone in a sound booth, then have his voice digitally altered to sound as much like Diesel as possible. That kind of shock might trigger such reactions as asking if they can have more popcorn, or to give the iPad back, because they’re in the middle of a Clash Of Clans thing right now. The article does note it wasn’t a certainty the actor would be back, given that we last saw the character as a tiny little thing in a pot, meaning a younger person could arguably have been brought in to voice a baby Groot. But, given it would probably make for a much less action-ready (though doubly adorable) character, it did seem unlikely that would happen. Guardians Of The Galaxy Volume 2—the official title of the sequel, drawn from the similarly named mix tape Peter Quill discovers at the end of the first one—is scheduled to begin filming some time next year, with a May 5, 2017 release date.